If you're in the mood for an MMO that isn't PvP, Dead Maze [Steam] might be exactly what you need. It's a players vs zombies cooperative MMO and it's free to play. Dead Maze is a massively multiplayer cooperative game, where you can only help the other players to access to a better future. Cooperate to restore civilization, improve your own camp, and unveil the dark narrative of the apocalypse. Scavenge the world for any of the 500+ potential weapons in the game (yes, even that old teddy bear will do), and fight the hordes of infected together in a hit and run way. Don't engage bigger than you can chew! It's not bad, but the animations are a little stiff, especially with the limited character model that doesn't actually rotate around to the direction you're facing properly. The character model simply mirrors left and right, which looks a little rough. The game client is also a little on the buggy side, it gives you a small window and maximising it ends up giving a black screen. Same goes for ALT+F to make it fullscreen, so it's not ideal. Even with the issues, it's still a reasonably interesting MMO. It does obviously have a bit of a grind to it, what matters is if you find that aspect of it fun or not. Grinding in some games can be fun, sometimes it's monotonous. I did at least appreciate the story-based intro, that was quite nice. There's quite a lot to do in the game as well, outside of the quest-line, with a camp building system, 500+ potential weapons like a guitar or a signpost and so much more. It's more of a casual MMO, one that doesn't have a lot of depth to it, but it also doesn't require a lot of your attention to play. 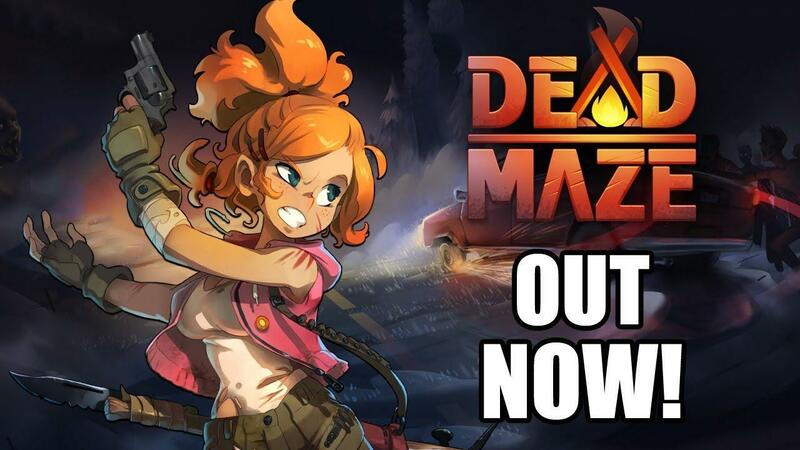 Find Dead Maze on Steam. Free to play . No reason not to give it a try. The arbitrary weapon choice was probably the most amusing thing in this game. I had some good success smacking zombies around with an AC unit. Unfortunately, like all weapons, it eventually broke. The game had some pretty major technical problems, so I haven't tried anything recently. I'm having a lot of fun playing this game. It works very well on my old computer with Linux Mint 18.3; no bugs or issues so far. Watched some review and it's undoubtedly "pay to win" - there are items in cash shop with stats. Definitely not going to try it. From what iv'e seen it's not pay to win, you can buy some clothing with minimal stats. That being said you still have to craft them. and you can buy them with the non payed in game currency as well. You can't purchase materials or weps with real money. You can nearly go as far to say that, the pay system is for cosmetics as the boosts are so low, it doesn't matter. The game literally revolves around grinding, def not pay to win.